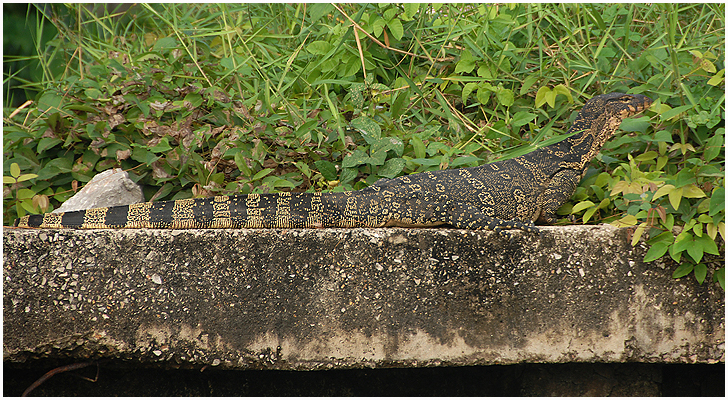 28.02.10: A very common resident in SE Asia - even in big cities as Bangkok, where these pictures were taken in january. Two of these animals were basking alongside one of the canals, right outside houses - and we also saw a few swimming rather uncaringly. 4 subspecies exists - but this is the only one in mainland Thailand / SE Asia, while the 3 others are populations on islands. This subsp. 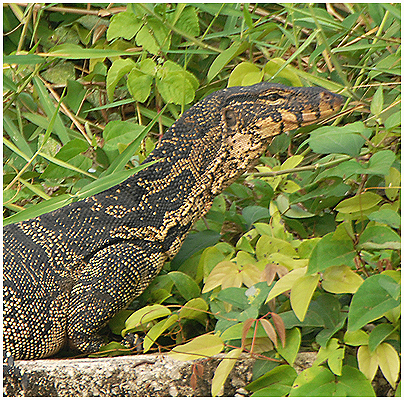 can also be found in Borneo and Sumatra.